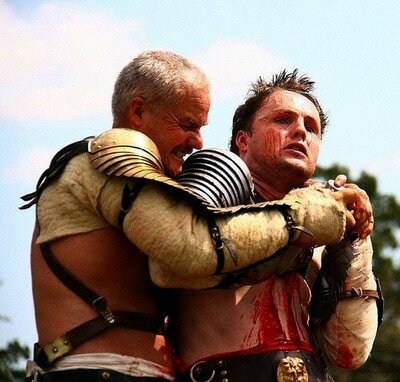 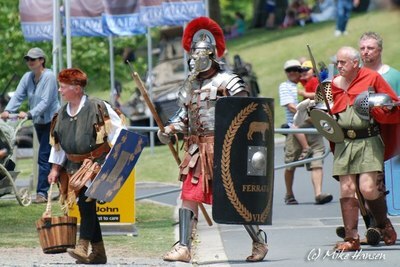 2012 began with our Roman camp and Gladiator fight at the Howick Military Tattoo. 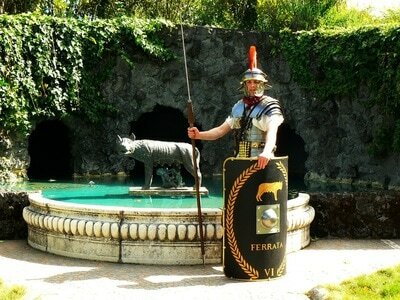 Hamilton Gardens in the Italian Pavillion photo-shoot of Romans in period background settings. 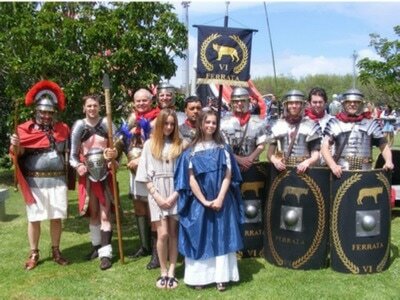 Our educational display at McLean's School for the students. 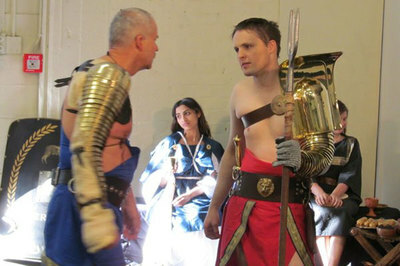 Appearance on Good Morning TV Show for interviews and Gladiator fight display. 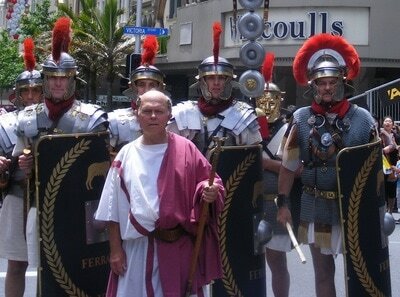 Armageddon Auckland some real Romans in authentic gear among the weird and wonderful fantasy cosplayers. 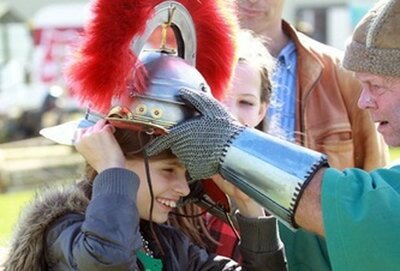 Armistice Cambridge our joint Roman living history camp with the Leg X, two-day Roman military displays and Gladiator fights. 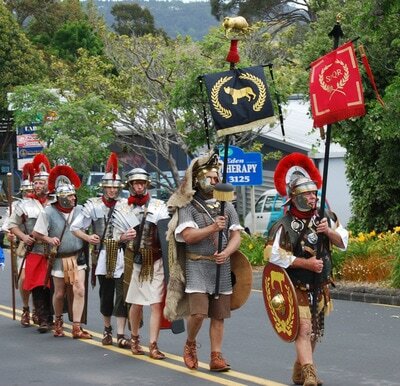 The year ended with two Santa parades and our Saturnalia party. 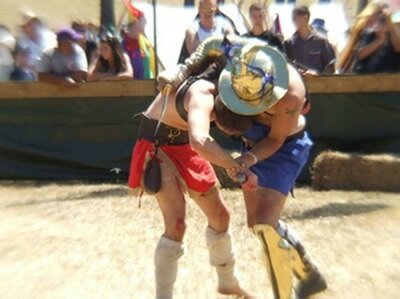 ​Check out the pictures!